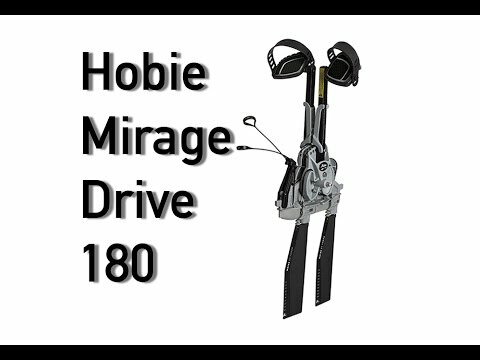 The Hobie Mirage Sport is a do-it-all touring, fishing and sailing (with the optional Sail kit) kayak that is as easy to use as it is to store and maintain. 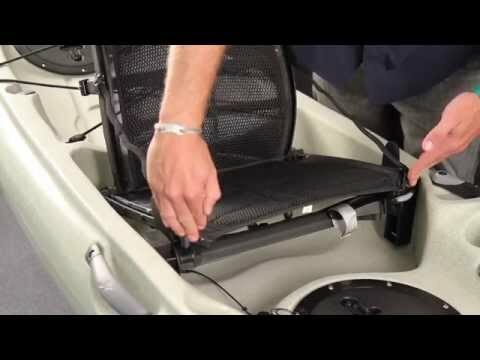 The Mirage Sport features the Vantage chair, a Lowrance-Ready transducer mount, a bow hatch with a flip-up lid, two drink holders, dual mid-ship carry handles and map pockets. The Sport includes the Mirage 180 which now features a reverse mechanism. The seat can be moved forward to accommodate users as small as four feet. Pedal it, paddle it or sail it. It's the mini-SUV of the Hobie kayak family. I am 5'10" 165lb, and I can ride the sport comfortably. The reason I chose sport is - I can fit it inside my minivan, no need to load it on top, or buy a trailer. The minor design problem I have: when you put the cart on the kayak, the rod holders become inaccessible (blocked by the wheels). But I get around it by installing the rod holder on the crate. I don't carry the cart on the boat every time anyways. I am 11 years old and I love this kayak. It is the best. My parents made me take a boating course and I use walkie talkies with them. We live on the bay. My friend has seem me in it and now he wants one. the peddles make it easy and fast and keeps my hands free to fish. My dog Pal comes but she always jumps out and swims home. I take very good card to rise the pedals off and I use the cart to wheel it and I do it all myself. thank you I love it. My wife is 4'10&quot; and the Hobie Mirage Sport Kayak is perfect for her. She loves it. Hobie Mirage Sport, I love my mirage sport, just remember to carry some spare parts. I was on Priest lake in north Idaho this past week, Went up the canal to Upper Priest. While on Upper Priest almost to the north end I came across a sandbar, I scraped bottom only slightly but enough to dislodge the pin that keeps one of the fins on. One of the fins came off, by luck I was close to a remote camp ground and the fin was still in the slot in the kayak so I didn't loose it. I went to shore, now what do I do, miles from my camp and no spare parts I had to figure out a fix or paddle all the way back with half a paddle. Just by pure luck I found a tent spike wire someone had left behind, it was just the right size, I sliped it in the hole bent it around and I was back in business. The moral of the story is &quot;carry spare parts&quot; I was just really lucky. Love my Mirage Sport Kayak. Most people say they have never seen anything like it and they all want one, until they hear the price. I love how it handles on the water. My friend and I can carry hers and mine together a short distance at one time (we are both 51 years old). Our last outing she said she wishes had one like mine. I have a bad shoulder so this is the perfect answer for me to remain active and be on the water. It had some dings in the plastic from shipping but not worth the effort to return the kayak. I highly recommend this to any and everyone. This weekend was my third time out with my mirage sport. When I first saw it I thought the sport would be to small, but mow I'm glade I got it. At 66 yrs and bad shoulders it's easer to load on my suv. At first it didn't seem like it worked right, didn't go very fast, but now after getting the seat adjusted rite and my weight forward so it sits level in the water it works great. My weight is pushing the limit at around 190 and it still worked great. I was spending 3-4 hrs on the water and not getting tired. I just ordered the intermedate st fins. The Hobie Mirage Sport has working out fine! We are having a great time on the water. Love the Hobie Outback Sport...perfect for me as I am 52 inches tall. Great workout!! So easy to get in and out of and very easy to use the Mirage Drive. I use in the bay and it is so stable. Also,Austin Kayak is a wonderful company to work with when buying anything. Easy to load and easy to use. Nimble and fun. Austin Kayak was a pleasure to do business with too. Great kayak product! Easy to manuever, easy to pedal, and very adjustable for different height individuals. Overall, a great kayak! Expensive, but worth it, features well implemented. What a wonderful kayak!!! I can now really enjoy kayaking year round as you can stay dry peddling the Hobie Mirage Sport kayak. Winter kayaking on Lake Powell is heavenly as the water is calm and the locals have the lake to enjoy without all the summer traffic. Anyone with shoulder issues would love this kayak. It also allows you to take pictures of the amazing wild life on and around the lake. Love my Hobie!!!!!! We love our kayaks! They work beautifully!! I love my new Hobie mirage sport. It is the best 9footer I have ever seen! I want to get ST fins and the large sailing rudder for it. Performs just as advertised. Was impressed by the cost and efficiency of the shipping from Texas to Ohio. The kayak arrived quickly and in perfect condition. It is much easier to convert to pedaling than I thought it would be. This kayak is everything i expected it to be. My Hobie Mirage Kayak is wonderful. The only improvement I can see is to add a handle on BOTH sides (middle area) to make it easier to carry and load. Otherwise, it is very well designed. Thank you so much. Very pleased with ACK service, my Hobie Mirage arrived in perfect condition. They are my number one company to deal with. Really love my Hobie Mirage Sport with sail. Take it out all the time. My husband bought me the Mirage sportfor my birthday. Wow, can't believe how easy and fast you can go in it. Just like riding a bike but sitting. I would recommend this kayak to men or women. Easy and fun, what more could you ask for. I have only had an opportunity for one outing with the Hobie Sport but it was great fun. The Mirage drive was amazingly functional and I zipped all over a 30 acre lake (plus caught some fish. I am now ready to attach an anchor trolley and add a few tie down attachments. I went with ack based on the expectation of good service and was not disappointed. I was missing the proper mirage owners manual and this was promptly sent. Overall, a very fine craft and I look forward to many outings. I am 57 years old, 5'11&quot; and 180 lb. I will need to set the pedals at maximum distance. My wife uses this and loves it! I was skeptical with the claim that you are in good hands with ACK. Well from my emails with them and my 2010 SPORT, which was shipped out within 24hrs, I do feel being in great hands. My SPORT arrived well after traveling half-way around the globe. ACK customer service was great and answered all my emails promptly even thought I'm international. I didn't give a 5 because there were some small imperfections on my SPORT. However I think they were more likely caused by my freighter. Wow what a great product and an even better experience dealing on line with ACK. Prompt order processing, great/speedy packing and delivery without a scratch from TX to FL. 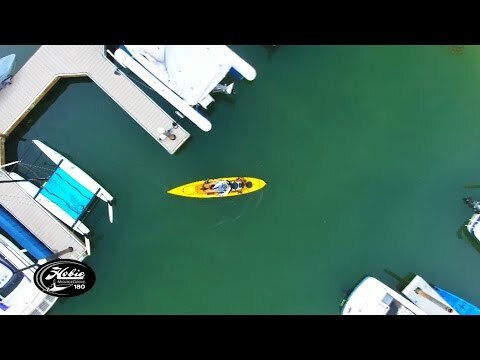 I absolutely thoroughly enjoy my Hobie Mirage Sport even though I would have preferred a Red one, my husband had selected a blue Sport for my birthday. Followup service for a broken flipper was sent via FEDEX by ACK without question. Great service!! I am extremely satisfied with my Hobie Mirage Sport Kayak. It's an excellent kayak and conversation starter. It's a stable craft and allows this senior to have as much fun as a kid. We've now bought two of these Hobie Mirage Sports and can't say enough great things about them. Design is clever and efficient. We have two children and they were both able to hop in and zip off around the lake. They are light weight enough that we can easily lift them in and out of the water (and I have back issues so weight was critical). The boats are stable and don't make you feel at all tippy. The sail option is great fun as well, although we've not let the children try that as it does heel-over in brisk wind and while we've ordered the outrigger for stability(which we feel we needed), we've not tried it yet because it has to be bolted on and we've not attempted to do that yet. I can't imagine anyone being disappointed with the pedal drive or rudder system. Well engineered and well executed. Thanks! My wife and I both love these kayaks. She is 5'2&quot; and I am 5'10&quot; but by adjusting the pedals we both get a perfect fit. I didn't want the pedals but we can really move with them and probably use the pedals more than the paddles. Another great Hobie. Previously bought Outback &amp; can't say enough about Mirage drive. Would use it more but have to spend too much time explaining the Mirage and letting people &quot;test drive&quot; it. My wife &amp; I are both over 60 and this levels the playing field. Tremendous upper &amp; lower workout! Another great Hobie. Previously bought Outback & can't say enough about Mirage drive. Would use it more but have to spend too much time explaining the Mirage and letting people &quot;test drive&quot; it. My wife & I are both over 60 and this levels the playing field. Tremendous upper & lower workout! This kayak is awesome. I am 6'0 tall I fit great. I love the pedal system. I forgot to mention that the kart/wheels that attach to my Mirage are phenomenal as well. My husband attached the Hobie Mirage to the back of my golf cart and I take it directly down to the lake myself. Cool, if I say so myself. Fun, Fun, Fun! I knew when I ordered the Hobie Mirage Sport that I was going to love it, &amp; it's lived up to it's pre-purchase reputation &amp; then some! I'm 62 &amp; in love with a kayak! It's light weight, &amp; I'm able to lift it to the car top carrier, plug in the carrier &amp; take it wherever I decide to launch. The dry holds are easy to access, as are the rod holders. Everywhere I go people are curious about the kayak &amp; the ways it operates. My experience with Austin Canoe &amp; Kayak has been terrific, pre-shipping, during shipping &amp; follow-up. I'd order from ACK again with absolutely no hesitation. I knew when I ordered the Hobie Mirage Sport that I was going to love it, & it's lived up to it's pre-purchase reputation & then some! I'm 62 & in love with a kayak! It's light weight, & I'm able to lift it to the car top carrier, plug in the carrier & take it wherever I decide to launch. The dry holds are easy to access, as are the rod holders. Everywhere I go people are curious about the kayak & the ways it operates. My experience with Austin Canoe & Kayak has been terrific, pre-shipping, during shipping & follow-up. I'd order from ACK again with absolutely no hesitation. We bought this kayak for my wife. She sustained a lower back injury about 2 years ago and has not been able to golf, cycle, spin, or do aerobics since. The mirage drive system on the sport is perfect for her. She has the lower back support she needs and at the same time she gets the physical activity she has missed since the injury. Her very first trip we were on the water for almost 2 hours! We would recommend the mirage drive kayaks to anyone in a similar situation as well as someone who enjoys being on the water and cannot use a traditional kayak paddle for extended periods of time. When I'm in this kayak, I am the envy of all on the lake. I frequently get stopped to explain all the features of this phenomenal boat. They see me pedaling and think it's motorized. I can actually do donuts and ride my waves. I Love it. I am a fitness instructor, so to get an upper and lower body work-out together is a total plus. What more can I say. Thanks again chris. A: We use Estes which uses large trucks. You could pick it up fro the hub or contract a third party to get it and deliver it. I have also heard of them meeting you in an alternate, close by location.